Product #60710 | SKU OR-444 | 0.0 (no ratings yet) Thanks for your rating! A patented design to help protect and support audio operators while working outdoors. A deposit of $80.90 is required for this pre-order. The Orca OR-444 Spinal Support System 3S is a patented design to help protect and support the audio operators while working outdoors. 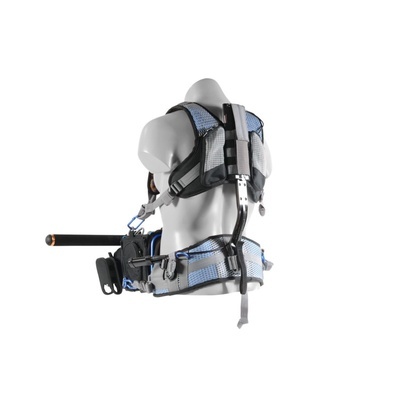 The 3S Harness comes in one size that fits most. Roller buckles – The S3 waist belt, has two unique “rollers buckles” that help tighten the waist belt on the user’s hips for perfect fit and weight distribution. The waist belt thigh system is one of a kind, unique design for ORCA Bags!